Today was all about the castles. And you were thinking all the other days were about castles. It just gets betterer and betterer. 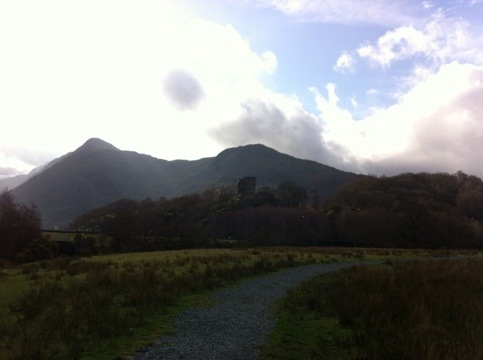 We visited Dolbadarn, Caernarfon and Beaumaris. The contrasts between all the castles is really interesting – some are really grand and obviously lived in, others are mainly there as fortifications. The castles in this area were all built around the same time, 1200-1350 and mainly as fortifications in the war between the English and the Welsh. Dolbadarn is a Welsh castle, built to defend against the English invaders. There is not much of it left. Caernarfon is huge and bristling with fortifications. It is very obviously designed for defense – the English built by Edward I as a stronghold against the local Welsh. It’s also the place where successive Princes of Wales have been invested, including Prince Charles. What amazes me is that we are allowed to roam all over it, climbing to the tallest towers and into every little corner of the place. 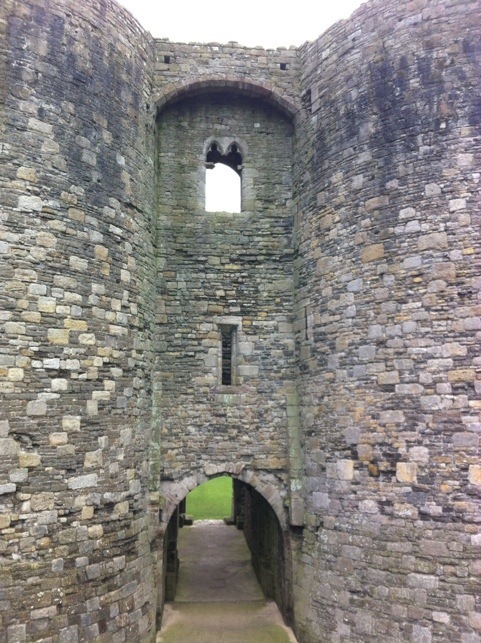 Beaumaris is another English castle built by Edward I, but not finished. It’s appearance is less grand than some others because it doesn’t have the tall towers – they were never completed. My legs ached at the end of the day from playing on these things all day, but it was so much fun! More again tomorrow! Awesome!! Really look forward to each days posting. Am printing it all and sending it down to grandad. I agree each of these castles has something different and interesting to offer.